Some children playing in the house comes across an old typewriter and asks their dad to show them how it works. The dad takes a sheet of paper and feeds it into the typewriter, sits down and starts typing. “It does not use any” the dad replies. Now, there are still some of us who would remember learning to type on a typewriter. 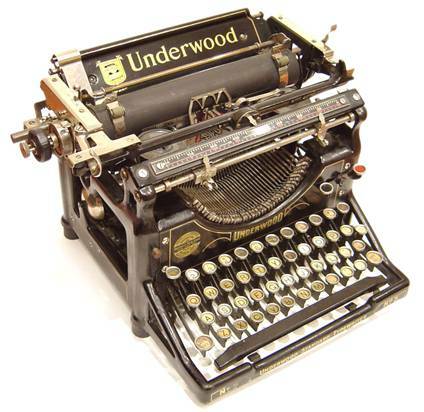 The typewriter was a mechanical system and therefore did not need any energy source other than the force of the typist, but it does not have any computing power. This is where computers come in to enable humans to perform complex calculations, repeatedly accurate and in the fraction of the time it would take a human. If you look at the lives of the fathers of mathematics, physics and other disciplines, you will quickly realise that they dedicated the entire lives to achieve one breakthrough in their field. Today the time between concept and final product could be as little as hours with the help of development and simulation programs, 3D printers and modelling software, which requires immensely more computing power than a simple mechanical system like a abacus or a typewriter.